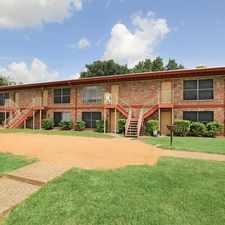 The rent at 7020 Stuebner Airline Road ranges from $860 for a one bedroom to a $1,085 two bedroom. Apartments in this building are about 1% more expensive than the Northside - Northline average. This is a pet-friendly apartment. This apartment is in the Northside - Northline neighborhood in Houston. Nearby parks include Northline Park, Dow Park and Dow Park Number 2. 7020 Stuebner Airline Road has a Walk Score of 47 out of 100. This location is a Car-Dependent neighborhood so most errands require a car. Smart Living at Stuebner Airline features a wide variety of one and two bedroom apartments with a great location. The interior of our South Central Houston apartments offer amenities designed to provide comfort and convenience. You will find spacious walk-in closets, hard plank vinyl flooring, ceiling fans in the living room and bedrooms, plus Energy Efficient insulated windows. The kitchens offer contemporary lighting, a refrigerator with an ice maker, a microwave oven, and more! You will appreciate the convenience of a washer and dryer in your home as well.\nSmart Living at Stuebner Airline is located just 8.5 miles from Downtown Houston. Our luxury apartments offer two outdoor seating and barbeque areas perfect for entertaining friends and family. The open courtyard near the seating areas is a perfect place for the kids to run and play! Our Houston, TX apartments are located near the area's best shopping and dining venues. You will love calling our community your new home. Schedule a tour today! Explore how far you can travel by car, bus, bike and foot from 7020 Stuebner Airline Road. 7020 Stuebner Airline Road has some transit which means a few nearby public transportation options. 7020 Stuebner Airline Road is in the Northside - Northline neighborhood. Northside - Northline is the 27th most walkable neighborhood in Houston with a neighborhood Walk Score of 55.